2. Diagnostic and Statistical Manual of Mental Disorders, 5th Edition: DSM-5 by . 3. MyMathLab: Student Access Kit by Hall H Pearson Education. 4. Campbell Biology (9th Edition) by Jane B. Reece – Lisa A. Urry – Michael L. Cain – Steven A. Wasserman – Peter V. Minorsky – Robert B. Jackson. 5. Saunders Comprehensive Review for the NCLEX-RN® Examination, 6e (Saunders Comprehensive Review for Nclex-Rn) by Linda Anne Silvestri PhD RN. 6. Principles of Microeconomics by N. Gregory Mankiw. 7. A Guide to the Project Management Body of Knowledge: PMBOK(R) Guide by Project Management Institute. 8. The Art of Public Speaking by Stephen Lucas. 9. Physical Examination and Health Assessment, 6th Edition by Carolyn Jarvis. 10. “They Say / I Say”: The Moves That Matter in Academic Writing with Readings (Second Edition) by Gerald Graff – Cathy Birkenstein – Russel Durst. 11. Managerial Accounting, 14th Edition by Ray Garrison – Eric Noreen – Peter Brewer. 12. A Writer’s Reference by Diana Hacker – Nancy Sommers. 13. Desk Reference to the Diagnostic Criteria from DSM-5(TM) by American Psychiatric Association. 14. MKTG 7 (with CourseMate with Career Transitions Printed Access Card) by Charles W. Lamb – Joe F. Hair – Carl McDaniel. 15. Nursing Diagnosis Handbook: An Evidence-Based Guide to Planning Care, 10e by Betty J. Ackley MSN EdS RN – Gail B. Ladwig MSN RN. 16. Leadership: Theory and Practice by Peter G. Northouse. 17. Student Laboratory Manual for Physical Examination & Health Assessment, 6e (Jarvis, Student Laboratory Manual for Physical Examination & Health Assessment) by Carolyn Jarvis. 18. 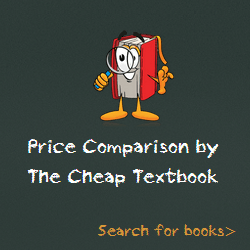 Principles of Macroeconomics, 6th Edition by N. Gregory Mankiw. 19. Leadership Roles and Management Functions in Nursing: Theory and Application (Marquis, Leadership Roles and Management Functions in Nursing) by Bessie L. Marquis RN CNAA MSN – Carol J. Huston MSN MPA DPA. 20. Medical-Surgical Nursing: Patient-Centered Collaborative Care, Single Volume, 7e by Donna D. Ignatavicius MS RN ANEF – M. Linda Workman PhD RN FAAN. This entry was posted in Textbooks on January 9, 2014 by Textbooks.